“You can tell from the get-go whether the audience likes you or not,” says Melody Kwan, a Hong Kong-based MC. 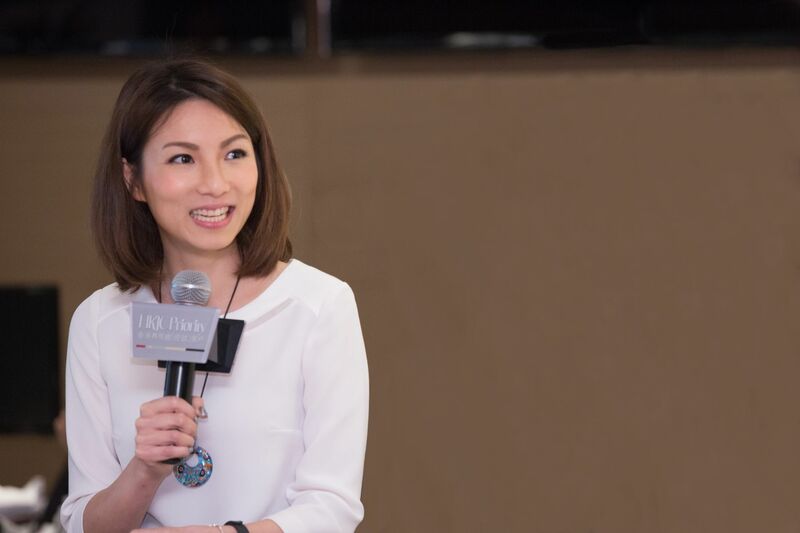 It’s just one of the many insights Kwan has to offer from a career hosting public events for high-profile Hong Kong clients, with everyone from Landmark to the Longines Masters soliciting her services. Here are five things Kwan says every professional needs to know about speaking in front of a crowd—whether you’re pitching a startup or facing the board. Be yourself and don’t be pretentious. Anyone can learn the techniques you need to give a good talk—the gestures, how to stand—but that can easily feel too staged. The main thing to consider is: Are you being yourself? Genuinely yourself. When I have a one-on-one conversation, I speak in the same manner as when I speak to a large crowd, except it’s attenuated. A lot of people concentrate on presenting how they think they are supposed to, and become focused on hitting these cliché markers. People in the audience can tell, especially if they know you outside of the presentation. Faking it doesn’t win friends or hearts, and it can make people zone out after the first few seconds. Photo: Courtesy of Melody Kwan. An audience can feel it if you’re just delivering a message and don’t care whether or not they absorb it. If you’re overly rehearsed, it can be easy to stand up and just talk at an audience—giving your speech from beginning to end without pausing for breath. Fixing this is as simple as reminding yourself, “Okay, let’s talk to these people—not at them.” Just saying that to yourself before you speak can change your mindset, which will naturally manifest itself in your actions. It encourages you to make eye contact with your audience, for example, rather than glancing over them as strangers. The Millennial Conundrum: Who Wants To Work For Big Business Anymore? Always consider your audience, and remember that your target audience isn’t always the majority of people sitting in front of you. Often, it’s going to be just a couple of people in the room—your client or a panel of investors, for example. Make sure you specifically cater to their needs above anyone else. People always say practice makes perfect, but that’s not always true. You could practise a speech a million times, but if you do it in a really lacklustre way then it won’t get any better. It’s preferable to rehearse just a couple of times but to do it properly—actually projecting your voice and rehearsing as if it’s the real thing. Most people think about how to perfect a talk, but don’t consider contingency plans for if you get a difficult person in a Q&A or something goes wrong. You need to prepare a “survival kit” in advance so you’re prepared for any situation. Melody Kwan is a multilingual MC, TV host and voiceover artist.